Congratulations to "Emily B. ", "Taurus", and "Joan V.", the winners in Adrienne's giveaway. Thank you to all who participated! One of the many things I love about being an author is meeting readers. A few weeks ago I had the pleasure of meeting a whole bunch of them thanks to the Keeper Books Tour. 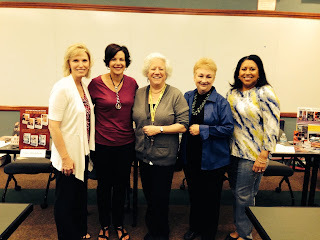 The Chicago Keeper Books Tour included authors Dianna Love, Denise Swanson, Mary Buckham, Tracey Devlyn and Hildie McQueen. I’m not sure who originally came up with the idea (It was probably Dianna because she’s brilliant when it comes to things like this. 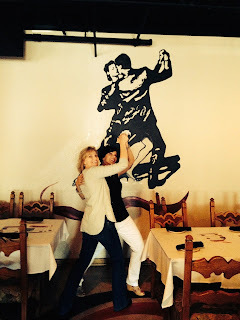 ), but what we did was put a new twist on the standard way to do a book tour. Instead of spending a few hours in a major city, which is generally inconvenient to the majority of readers, we decided to visit smaller communities. The thought process behind the Keeper Books Tour was that many readers don’t have the time to travel to the city to meet an author. I was a reader before I became an author, and I’m a busy mom who lives in the Chicago area, so I know from experience that it’s a challenge for someone to travel fifteen or more miles to spend a few hours at a book signing. We’ve had two Keeper Books Tours so far and we’ve had wicked fun on both (as evidenced by the photo of my pal Tracey Devlyn and I goofing off!). Our first tour was in Atlanta last September. I’ve learned some things during these tours, but the most important would be that I never get tired of connecting with readers one-on-one. Social media is terrific for chatting, but there is something special about a reader standing in front of me chatting about our favorite genres, books and authors. There’s sort of a mutual “aha” moment when we discover we enjoy the same stories. I suppose that’s what happens when book lovers come together though. Writing has brought me many gifts over the years and I can’t imagine a day where I’m not thinking about a story I’m writing or the one I want to write. There are a ton of perks to being an author, but being an author means running a small business and it’s easy to get caught up in the daily tasks of running that business. When I meet my amazing readers I’m reminded that books offer common ground and a way for us to come together and chat about what we loved (or didn’t love) about a story. It’s a way for total strangers to connect on an emotional level without invading anyone’s privacy. It’s a way to make friends. And that might be the best perk of all. Readers, have you ever met an author at an event? Three lucky readers leaving a comment or email entry will win 1 of 3 print books (The Prosecutor, The Defender, or The Marshall (US only). “No. Which I think is part of the problem. I may do a little of my feng shui magic in there. Giveaway ends 11:59pm EST July 2nd. Please supply your email in the post. You may use spaces or full text for security. (ex. jsmith at gmail dot com) If you do not wish to supply your email, or have trouble posting, please email maureen@justromanticsuspense.com with a subject title of JRS GIVEAWAY to be entered in the current giveaway. Please note, the winners will not be announced until July 10th on this giveaway. I was lucky enough to be invited to an author event a couple of years ago by an author... first time ever going to something like that and it was an amazing experience... was able to meet a few authors and speak to them within small groups... had dinner, etc... I am a bit shy so I was nervous, but everyone was so friendly! Our local indie bookstore held an event with eight local mystery authors - it was lovely to be able to speak to each author about their books. I was able to meet Nicholas Sparks once, but I had to drive a hour to meet him. Not many authors come around where I live and all the good events are to far away to go to but I would love to meet more authors one day. 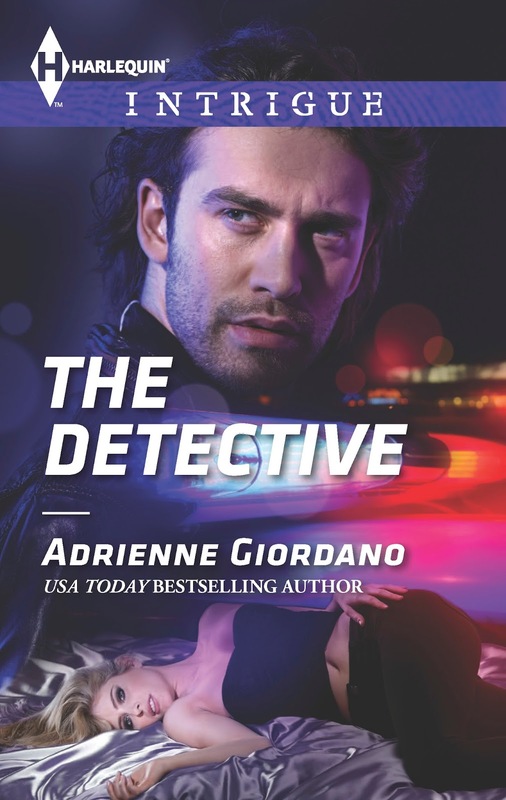 My neck of the woods doesn't see a lot of events but if I could find one, I'd totally go ;) thanks for sharing and congrats to Adrienne on her series! Thanks for sharing!